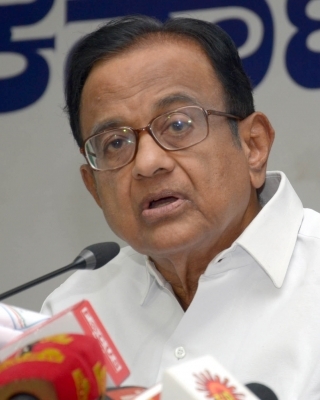 New Delhi July 14 (IANS) Senior Congress leader P. Chidambaram on Friday slammed the government over its poor management of economy saying inflation is at five-month high industrial growth at five-month low and the trade deficit has soared. Chidambaram a former Finance Minister said in tweets that exports were lower in June compared to May and the imports higher. He said despite the higher trade deficit the government would continue to say that all is well. "After 5-month-high inflation and 7-month-low industrial growth comes the news of soaring trade deficit." "June exports lower than May. June imports higher than May. June trade deficit higher by $2 billion. But the government will say all is well " he said. Chidambaram said the Congress leaders had estimated that demonetisation would lead to a cut in growth rate by 1.5 per cent and the outgoing Chief Economic Advisor Arvind Subramanian has said that purging high currency notes in November 2016 led to a definite slowing down of economy. The official data showed on Thursday that retail inflation in India touched the 5 per cent-mark in June compared to 4.87 per cent in May even as industrial output in May grew at 3.2 per cent compared to the same month last year but declined as compared to rise of 4.9 per cent in April mainly on account of a decline in manufacturing.